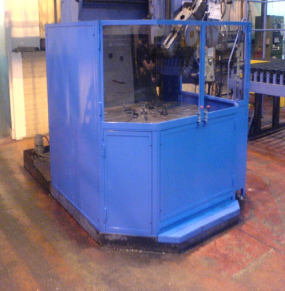 Fabricated table guards for all models/sizes of Webster & Bennett Vertical Turning & Boring machines are available. Most have interlocked loading and tool change doors with polycarbonate viewing panels and hinged swarfing-out panels at lower level. Bespoke designs are available where required. Mechanical & electrical installation service is also available. 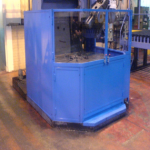 Design & manufacture of fabricated table guards and safety systems are available for most other makes of Vertical Turning & Boring Machines. Accidents on inadequately guarded Vertical Turning & Boring Machines often results in severe physical injuries and even fatalities. Why Solon Systems for Vertical Turning & Boring Machine Guards?